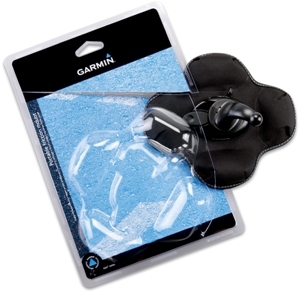 Shipping Height: 2.0 Shipping Width: 5.5 Master Pack Qty: 1 General Information Manufacturer: Garmin, Ltd Manufacturer Part Number: 010-10908-02 Brand Name: Garmin Product Model: 010-10908-02 Product Name: 010-10908-02 Portable Friction Mount Product Type: Vehicle Mount Product Information Device Supported: GPS Miscellaneous Compatibility: Garmin GPS System: aera 500 aera 510 aera 550 aera 560 nÃ¼vi 1200 nÃ¼vi 1250 nÃ¼vi 1260T nÃ¼vi 1300 nÃ¼vi 1350 nÃ¼vi 1350T nÃ¼vi 1370T nÃ¼vi 1390T nÃ¼vi 1450 nÃ¼vi 1490T nÃ¼vi 1690 nÃ¼vi 200 nÃ¼vi 200W nÃ¼vi 205 nÃ¼vi 205W nÃ¼vi 250 nÃ¼vi 250W nÃ¼vi 255 nÃ¼vi 255W nÃ¼vi 260 nÃ¼vi 260W nÃ¼vi 265T nÃ¼vi 265WT nÃ¼vi 270 nÃ¼vi 275T nÃ¼vi 295W nÃ¼vi 350 nÃ¼vi 360 nÃ¼vi 370 nÃ¼vi 3750 nÃ¼vi 3760T nÃ¼vi 3790T nÃ¼vi 465T nÃ¼vi 500 nÃ¼vi 5000 nÃ¼vi 550 nÃ¼vi 600 nÃ¼vi 610 nÃ¼vi 650 nÃ¼vi 660 nÃ¼vi 670 nÃ¼vi 680 nÃ¼vi 750 nÃ¼vi 755T nÃ¼vi 760 nÃ¼vi 765T nÃ¼vi 770 nÃ¼vi 775T nÃ¼vi 780 nÃ¼vi 785T nÃ¼vi 850 nÃ¼vi 855 nÃ¼vi 880 nÃ¼vi 885T nÃ¼vifone G60 StreetPilot c510 StreetPilot c530 StreetPilot c550 StreetPilot c580 StreetPilot i2 StreetPilot i3 StreetPilot i5 z?mo 220 z?mo 660 z?mo 665Garmin and Amazon.com have teamed up to offer this item in Amazon Frustration-Free Packaging, a recyclable, easy-to-open alternative to traditional packaging. Products in Frustration-Free Packaging are exactly the same–we’ve just streamlined the packaging. A Frustration-Free Package comes without wire ties, hard plastic “clamshell” casings, and plastic bindings. It’s designed to be opened without the use of a box cutter or knife and will protect your product just as well as traditional packaging. 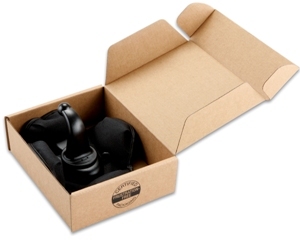 This item ships in its own box, without the need for an additional shipping box. Learn more about Frustration-Free Packaging. Keep your nüvi in place with this portable friction mount. It’ll keep everything in plain sight when you need it and out of the way when you don’t. The arm attachment connects directly to your GPS device, and once you’ve adjusted it to your liking, locks into place. Avoid the “wing around the windshield” syndrome that accompanies windshield mounts. Perfect for locales where window-mounting is prohibited or those who simply prefer a quick way to mount/unmount their nüvi/StreetPilot device. Amazon frustration-free packing. Click to enlarge. 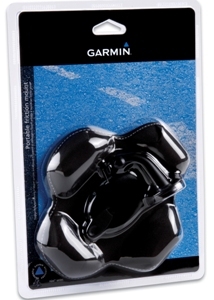 Tagged FREE, Friction, Frustration, Garmin, Mount, Packaging, Portable. Bookmark the permalink.